The end of 2011 was an anxious time for the business community in Samoa. It would be remembered for the general unease about Samoa joining the World Trade Organisation (W.T.O). Naturally, when the idea was first introduced years before, it was met with strong pessimism. This was largely due to fears that economies like Samoa – that are least developed - cannot foot it on a level playing field with everyone else, let alone superpowers such as America, China, Europe and others. The private sector was especially concerned that the interests of the local industries will be lost amidst the wave of globalisation. So some time in 2001, the government rallied the public and private sector to discuss the challenges and opportunities the W.T.O would present. During the meeting, the message from then Minister of Trade, Commerce and Industry, Hans Joachim Keil, acknowledged the challenges. Mr. Keil also touched on the “effect of globalization,” assuring that “globalization is the reality of today and there is no way we can ignore it. 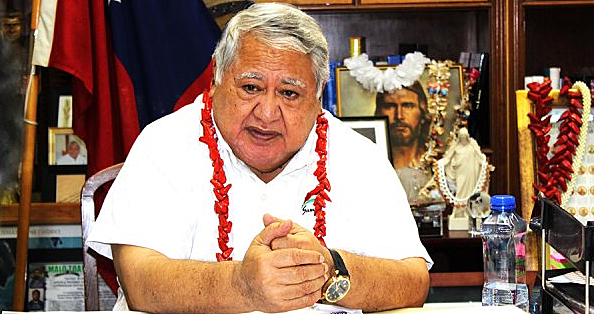 To move forward, the then Minister said the key for Samoa was very simple. “Improving product quality and price-competitiveness would be important recipes for success in international markets, and this is a challenge. Well that was then. Samoa has obviously become a member of the W.T.O and many years later, how have we fared? Have we improved product quality and our competitiveness in terms of prices? Have our producers and manufacturers found overseas markets for their products? The truth is out there for all to see. It’s a bit of a mixed bag. Exports figures have been very average and contrary to what the official line is from the government about such a wonderful job they are doing in finding overseas markets, the news is not all that exciting. And with that failure, one thing remains crystal clear. Without aid, remittances and hand-outs, this country will be in huge trouble. It was not wrong for Samoa to join the W.T.O. In fact, as a country we really had no choice. You see, the fundamental idea behind W.T.O is based on the premise that a country has goods to trade. But that’s where trouble begins for us because we don’t have an awful lot. Apart from our rugby players, fish, talo and coconut oil, the ledger doesn’t favour us too much. And there is another problem. Since the beginning, there has been no evidence to suggest the bigger economies would even care if our small industries are extinguished. Now look at the story on the front page of the newspaper you are reading. In Samoa today, the idea that foreign-owned businesses popping up here and there selling one inferior product after another cannot be ignored. The worst part is that they are driving our very own people out of business so that soon all they can do is sell pork buns on the side of the road when foreigners run all the retail businesses in this country. We doubt this was part of the original plan. But did anybody see this coming? And now that it is happening, does anybody have a solution? We say this respectfully because we cannot continue to ignore concerns such as the ones expressed by Nu’uausala on the front page forever. The worry is that more and more local people are waking up to realize that if they don’t do something, pretty soon they will have nothing to fall back on. These are challenging times. They are fragile and sensitive times. But it goes back to what we’ve been saying that the government must invest money to encourage people to develop farming and agriculture. With all that fertile soil in Samoa, imagine if there were millions of tala available to local farmers so they can fund different projects to utilise their land. The government should then invest in setting up factories where our wildly grown breadfruits, mangoes, papayas, lemon and so forth are canned and exported. That way employment is created, people have money in their pockets and the economy is stimulated. Most importantly, there is a solid base for exports earning us much-needed revenues. The worry for Samoa is that in the absence of a solid export base, the government will continue to depend on these foreigners and investors to create employment. Which is okay but it comes with a hefty price tag. These foreigners will bring their conditions and they will impose their will because at the end of the day, beggars can’t be choosers. And when a people become more and more desperate, they will have no choice but to follow in order to survive. This is not a future we want. Come on Samoa.